The Tamil National Alliance (TNA) regarded as the premier political configuration of the Sri Lankan Tamils issued a public statement last week after “careful consideration of the draft resolution on Sri Lanka to be submitted at the 25th sessions of the Human Rights Council by the US, Britain, Montenegro, the former Yugoslav Republic of Macedonia and Mauritius”. The TNA statement jointly signed by its Parliamentary Group Leader R. Sampanthan and Northern Province Chief Minister C.V. Wigneswaran stated, “We therefore welcome the fact that the draft resolution envisages the establishment of an international investigation led by the High Commissioner for Human Rights, both in respect of war-time abuses committed by both sides and violations of human rights throughout the country since the end of the war”. The Sampanthan-Wigneswaran joint statement went on to say, “We look forward to the co-sponsors effecting revisions to the draft over the following weeks that will clarify and strengthen the scope of the forthcoming investigations. We will remain engaged with the international community to this end and also to ensure that the outcome of the resolution will be overwhelmingly positive for all Sri Lankans, particularly for victims of grave abuses committed during and after the war’’. The TNA statement concluded on the following note, “The passage of a resolution on the lines of the draft under consideration will be a significant next step by the Human Rights Council toward reconciliation and accountability in Sri Lanka. The TNA will continue to urge the international community to move expeditiously towards mandating an international commission of inquiry in respect of past violations committed by both sides as well as ongoing violations throughout the country”. "The Sampanthan-Wigneswaran joint statement went on to say, ‘We look forward to the co-sponsors effecting revisions to the draft over the following weeks that will clarify and strengthen the scope of the forthcoming investigations’"
The tone and tenor of the TNA statement given wide coverage in sections of the national and international media was generally perceived as mainly focusing on the Sri Lankan Government. Although the thrust of the statement is essentially directed against the Rajapaksa regime, it is discernible that the TNA statement does not confine itself to one side alone and does make reference at times to “both sides”. Since war was waged for more than two decades between the Sri Lankan armed forces and the LTTE, it is construed that the “other party” in the reference “both sides” mentioned in the TNA statement implies the LTTE also known as the Tigers. What this means therefore is that the TNA, which has been attacked in certain quarters as LTTE proxies or Tiger-nominated agents, is publicly calling for an international investigation into acts of commission and omission by both the Sri Lankan armed forces and the LTTE though it coyly adopts the euphemistic term ‘both sides’. Even the much maligned Panel of Experts appointed by the UN Secretary General in its report pinpointed grave violations allegedly committed by the LTTE. The Darusman Panel as it was generally known stated thus, “The Panel’s determination of credible allegations against the LTTE associated with the final stages of the war reveal six core categories of potential serious violations: Using civilians as a human buffer; killing civilians attempting to flee LTTE control; using military equipment in the proximity of civilians; forced recruitment of children; forced labour and the killing of civilians through suicide attacks. It is in the context of the UN panel itself pinpointing alleged violations by the LTTE that the TNA statement must be seen. The fact that the Tamil National Alliance is now calling for an international inquiry into activities of the LTTE does not seem to have attracted sufficient attention. 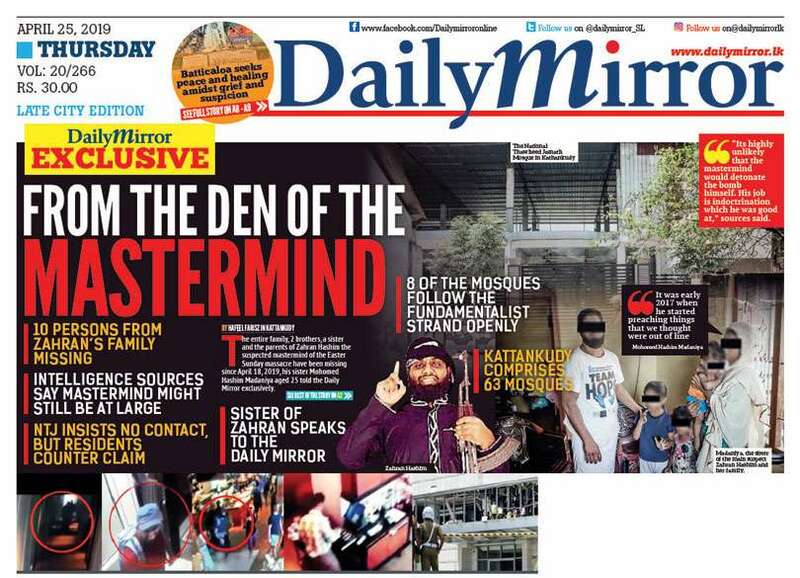 One reason for this may be due to the Rajapaksa regime most of the time monopolising global attention in this regard. From Human rights organizations to TV channels the chief or even solitary target seems to be the Sri Lankan Government alone. So the LTTE is ignored or overlooked. Besides, the LTTE is no longer in existence in Sri Lanka after the military debacle at Mullivaaikkaal in May 2009. The senior leaders including supremo Veluppillai Prabhakaran are all dead; more than 10,000 cadres released from detention after undergoing rehabilitation while some 1000 members and suspected supporters are still under detention with many facing legal action. The LTTE overseas structures remain but have lost much venom and as such there are many who regard the leaderless LTTE as a spent force that does not warrant a probe. There is also the practical question of who exactly in the LTTE is to be placed in the dock in this respect. Louise Arbour, Former UN High Commissioner for Human Rights and current President of the International Group, has in a recent opinion piece in the “New York Times” emphasised the necessity for an international commission of inquiry. In that article Louise Arbour observes thus, “A commission is also likely to uncover evidence of abuses by the defeated LTTE in a form that would be hard for Tamils and Tamil organisations to deny. That would deflate a Romanization of the Tigers among Tamils that keeps alive fears among the Sinhalese that the Tamil insurgency might resume, and also gives the government an excuse for continued militarization and repression”. Despite these expectations of respected personalities like Louise Arbour the Tiger, pro-Tigers and fellow Tiger travellers in the Diaspora and in Sri Lanka do not seem to be overly concerned over the possibility of the LTTE being probed by an international commission of inquiry. Many of the Tiger elements in the global Tamil Diaspora are now transformed into champions of human rights. They are at the forefront of the multi-pronged global campaign urging an independent international investigation. A demonstration opposite the United Nations office in Geneva last week saw a crowd of more than 4,000 carrying LTTE flags calling for an international investigation. Sadly several activists of reputed human rights organisations are also associating with these transfigured Tigers little realising the consequences of their collaboration. The orchestrated demonstrations calling for an international investigation fit in well with the actions of the TNA also. The TNA-dominated Northern Provincial Council passed a resolution calling for an international probe. The Chief Minister himself approved the resolution after an amendment. Furthermore he sanctioned provincial councillor Anandhi Sasitharan’s visit to Geneva to canvass support in favour of an international investigation. Anandhi who went to Geneva a month ago is there again now with fellow provincial councillor M.K. Sivajilingam. TNA Parliamentarians Kandiah Premachandran alias Suresh and M.A. Sumanthiran were also in Geneva to help promote the demand for an international probe. National list Parliamentarian M.A. Sumanthiran who is also a lawyer went to Australia too seeking support for the move. TNA leader Sampanthan, Northern Chief minister Wigneswaran and Mannar Diocese Catholic Bishop Joseph Rayappu signed the petition formulated by Nobel Laureate and South African Bishop Desmond Tutu. Bishop Rayappu and 204 Tamil Catholic clergy publicly called for an international probe. The TNA is planning to go to New Delhi and urge India to desist from watering down the US draft resolution. The TNA leader Sampanthan also met US diplomats in Colombo to discuss the strengthening of the resolution draft further. All these happenings demonstrate clearly that the TNA has hitched its wagon to the star of an international investigation. Given the difficult predicament faced by Tamil society in a post-war environment one would have expected a responsible political party representing their interests to utilise the current opportunity and enter into a partnership with the Government and devote its energies towards the lofty goals of rehabilitation, development and emancipation. Instead the TNA in its collective wisdom or folly is pandering to the objectives of the LTTE and pro-LTTE Diaspora in pressing for an international investigation. The TNA has crossed the Rubicon and the ultimate losers will once again be the long-suffering Tamil people of Sri Lanka. The TNA that displayed a “non-Tiger” if not an “anti-Tiger” face to the world at large in the aftermath of the war has done a volte face and is now again in a fresh pro-Tiger phase. The TNA during the 2010 Parliamentary poll jettisoned Former Parliamentarians M.K. Sivajilingam, Gajendrakumar Ponnambalam, Padmini Sithambaranathan and Selvarajah Gajendran on account of their perceived pro-LTTE leanings. Now it is reversing that process having re-absorbed Sivajilingam who is now a provincial councillor. It may even accommodate the others if they want to return to the TNA fold. Then there are others like Jaffna district MP Sivagnanam Shritharan and Batticaloa district MP P. Ariyanenthiran who have had LTTE links and even now talk supportively of the Tigers. The provincial council polls saw the TNA engage in blatant pro-LTTE propaganda with even former Supreme Court Judge Wigneswaran hailing Prabhakaran as a great hero and praising the LTTE as freedom fighters. Forgotten was the fact that this eminent Jurist while on the bench had heard cases of LTTE members being charged under the Prevention of Terrorism Act (PTA) and imposed stiff sentences on those “terrorists”. Other elected TNA councillors like Pasupathipillai from Kilinochchi was an official of the LTTE’s civilian militia known as the “Ellaippadai” (Border Force). His pledge on election platforms was that of renovating and reconstructing memorials for fallen LTTE cadres. Some local authorities controlled by the TNA also passed resolutions in support. Northern provincial minister P. Aingaranesan has engaged in political stunts like refusing to hoist the national flag at public events. Recently he remonstrated with some youths for demonstrating in support of actor Vijay opposite a cinema theatre. Aingaranesan reprimanded the youths asking them “What is the difference between you all and those who betrayed our struggle?” Topping them all is Anandhi Sasitharan wife of senior LTTE Leader Sinnathurai Sasitharan alias Ezhilan who was projected during the election campaign as “Anandhi wife of Ezhilan”. It is against this backdrop of “creeping tigerization of TNA” that the ongoing campaign by the party to bring about an international investigation into the final phase of the war must be viewed. The TNA action cannot be treated in isolation and can only be located within the overall effort to pressurise President Mahinda Rajapaksa and his United Peoples Freedom Alliance (UPFA) Govt. The pronouncements of the TNA particularly those of the “legal eagle” trio of Sampanthan, Wigneswaran and Sumanthiran relating to an international probe strive to adopt a principled approach. They emphasise that the whole truth must be revealed and accountability ensured to promote genuine justice and lasting reconciliation. While this overwhelming enthusiasm for the truth displayed by the TNA in particular and the Tamil Diaspora in general is certainly commendable at face value there is a need to regard it with more than a pinch of the proverbial salt when it comes to the conduct of the LTTE. Given the fact that the TNA never appealed to the LTTE to release the Tamil civilians under its control even during the height of the war it is hard to believe that the party is now calling for a probe into both sides inclusive of the LTTE. Given the fact that the TNA is yet to condemn the conscription of children by the LTTE or even celebrate the lives of political colleagues brutally murdered by the Tigers it is even harder to believe that the TNA is now supporting an international inquiry into both sides including the LTTE. "Even the much maligned Panel of Experts appointed by the UN Secretary General in its report pinpointed grave violations allegedly committed by the LTTE"
Moreover it is highly improbable that volatile elements supportive of the Tigers would not have taken umbrage at the TNA for demanding an inquiry into LTTE conduct if not for the fact that the TNA posture is not taken seriously by them. The lunatic fringe that protests outside Kentucky Fried Chicken outlets in India because the US draft resolution is not strong enough would have burnt effigies of TNA leaders but for the fact that even they can see through the duplicitous posturing. Is it believable that the morons who flaunt Tiger flags in Geneva are actually supporting an international probe into both sides namely the Armed forces and LTTE? Logically it does not seem believable! Yet the pro-Tiger and Tiger elements in the Diaspora as well as their fellow travellers in Sri Lanka persist with their efforts. The TNA voices this demand in low tones by referring to “both sides”. It is therefore possible to arrive at the conjecture that the TNA being seasoned practitioners of political intrigue and deception is calling for a probe into both sides now because it feels the exercise is impossible because the LTTE is non-existent in the Island. Also the TNA may be hoping that their democratic credentials could help to distance themselves from the LTTE if and when the “pappadam” does crumble and a probe does occur. The best example of the TNA’s political hypocrisy and double standards vis a vis the LTTE is Northern provincial councillor Anandhi Sasitharan. She was projected as the link to the LTTE during the election campaign as LTTE leader Ezhilan’s wife. Ezhilan who reportedly surrendered to the army on May 18, 2009 is now “missing”. Anandhi Sasitharan’s claim to fame is due to the active campaign waged by her in spotlighting his disappearance. A sympathetic electorate elected her with the second highest number of preferences for the Jaffna district. She is now representing the TNA in Geneva and is supposedly lobbying in favour of a stronger resolution against Sri Lanka at the UNHRC. Anandhi Sasitharan wife of Ezhilan is now depicted as a modern version of “Kannaki” the heroine of the Tamil epic ‘Silappathikaaram’, who sought Justice for her wrongfully executed husband “Kovalan” from the “Paandyan” King. While the personal sorrow and sense of loss felt by Anandhi over her husband’s fate cannot be disputed or discounted there is also the need to assess the merits of her husband and his role in the LTTE. This becomes imperative in the light of the TNA’s call for an investigation into the conduct of both sides. This column has in a previous article described the role played by Ezhilan in the LTTE. It is pertinent to reproduce some of the relevant excerpts here. “Ezhilan himself came into global prominence in 2006 when serving in Trincomalee. He played a key role in planning and executing the blocking of water supply via the Maavilaaru River to Sinhala inhabitants in the Moothoor Division of the Trincomalee district. The blocking of water supply is regarded as a crime against humanity. Ezhilan was also responsible for justifying that act publicly. It is indeed a fact that the Maavilaaru blockade was a colossal blunder by the LTTE and afforded the Government the moral high ground with which to prosecute the war intensively. This does not absolve the role of Ezhilan in the matter. His close identification with the exercise earned him the title “Maavilaaru Ezhilan”. “The LTTE political wing members were at the forefront in conscripting youths based on the dictum “Veetukku oru veeran allathu veeranganai” (a hero or heroine from each home). Excessive force and sheer cruelty was shown in this conscription drive. These acts have been publicised by this columnist in earlier articles. After Thamilselvan’s death in November 2007, Ezhilan was placed in overall charge of recruitment which was in reality conscription. Ezhilan and Thamilini the woman political wing chief acquired a notorious reputation for forcibly recruiting young men, women and children in the years 2008- 2009”. “During this tragic phase of war when the Tamils of Tiger -controlled areas were regarded as the wretched of the Wanni earth that the political wing of the LTTE descended into despicable levels. The LTTE political wing was involved in three tasks even during those perilous times. Firstly the political wing continued to forcibly recruit youths and children in huge numbers. They were thrown into war as cannon fodder without adequate training or experience. Secondly the LTTE political wing acted repressively to prevent civilians from trying to escape from Tiger-controlled areas to army-controlled areas for reasons of safety and security. Thirdly the political wing dealt out inhuman punishment to the civilians apprehended while trying to flee. Ezhilan played a significant role in all these”. 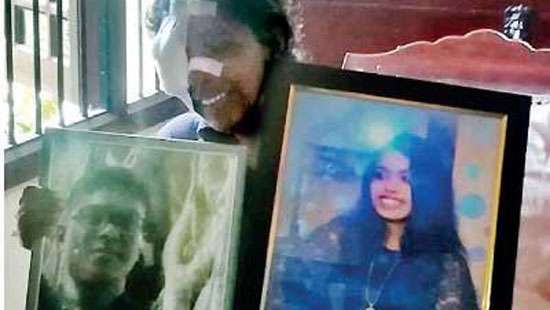 “Among the many cruel acts of Sinnathurai Sasitharan alias “Major Ezhilan” three horrible acts stand out as illustrations of the depths of depravity one could sink into in a crisis situation. The first is the incident in Puthumaathalan when an ICRC vessel had berthed to transport injured persons for medical treatment. The LTTE as usual prioritised injured cadres, supporters and family members of Tiger members first instead of on the basis of seriousness of injuries. These led to frantic attempts by relatives of injured persons to show their injured family members to ICRC officials and seek priority in being transported by sea for treatment”. “The second incident was at the Catholic Church of “Our Lady of the Rosary” at Valainjarmadam. More than 900 men, women and children had sought refuge in the church and were looked after by the Catholic priests and nuns who fed them “kanji”or porridge. 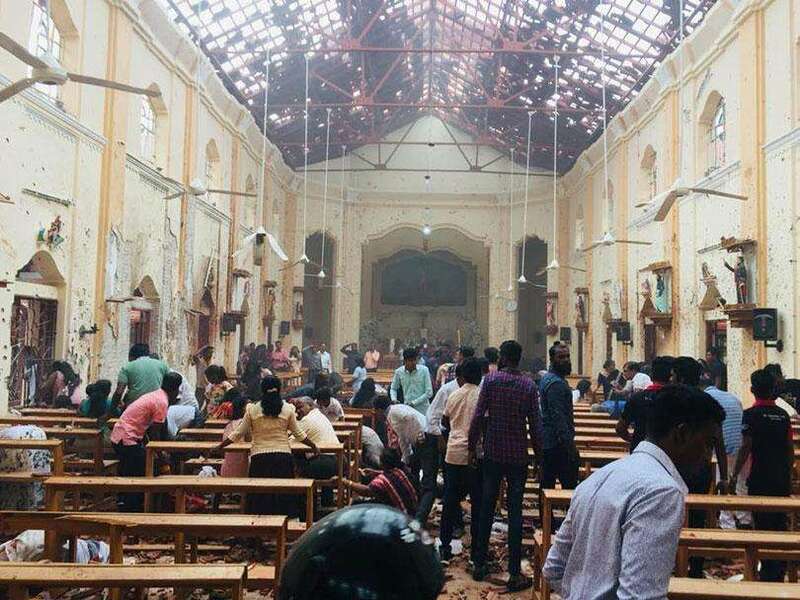 The refugees in the church consisted of people without any form of shelter, forcibly recruited cadres fleeing LTTE clutches and families with children facing danger of Tiger conscription”. “The LTTE led by Ezhilan then went into the church premises and began dragging out the youths and children in their early teens. When some youths resisted, the LTTE opened fire and killed four persons. Over 500 youngsters of both sexes, children and able-bodied men were marched out at gun point and compelled to board buses brought by the Tigers. They were taken to the battle-front. About 300 older men and women were left behind at Valainjarmadam wailing and sobbing over the loss of their loved ones. Ezhilan was present on the spot from beginning to end, supervising and directing the operation”. “The third incident was also at Valainjarmadam at a place called “Kurusady Santhi”or Crucifix Junction. Ezhilan and former LTTE administrative division head Thangan were leading a team of Tigers who had captured a group of civilians trying to flee to Govt. controlled areas. Ezhilan was questioning and reprimanding the people as traitors for trying to escape when a young woman with an infant and two small children responded by saying that her children had no milk and that was why she was trying to escape. A heated argument broke out between Ezhilan and the young woman who accused the LTTE of being inhuman and queried “Neengal Manisar Illayaa” (are you people not human). At this point Ezhilan whipped out his pistol and placing it on the woman’s forehead fired twice killing her in cold blood”. "Pro-Tigers and fellow Tiger travellers in the Diaspora and in Sri Lanka do not seem to be overly concerned over the possibility of the LTTE being probed by an international commission of inquiry"
“Anandhi Sasitharan is at the interface of two contradictory positions. As the wife of senior LTTE leader Ezhilan, who was reportedly involved in several human rights violations and crimes against humanity, she is at one end of the spectrum. At the same time it is a fact that her husband who surrendered himself to the Army in May 2009 is now missing. In that sense Ezhilan is a victim, and so are his wife and family. Thus Anandhi’s current situation is complicated, being the wife of a person who is both a perpetrator of human rights violations as well as a victim”. Let me conclude then by repeating the above question in a different form. What would Anandhi Sasitharan’s stance and by extension the position of the TNA be in such a situation? Is the TNA a voice of the Tamil victims or Tamil perpetrators of injustice?